Russ, Dan, and James discuss the recent changes on the Expert Sites, whether gear is always our friend and the effect of sound quality on how listeners perceive information. They answer your questions, share community feedback, and their finds of the week. Dan, Alan and Julian discuss whether Mac users should be afraid of making the switch over to PCs and Windows? They answer your questions, share community feedback, and their finds of the week. 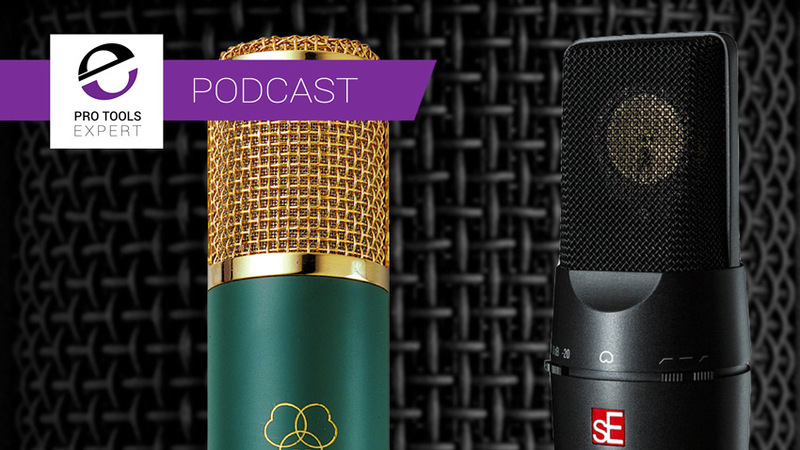 Mike, James and Julian discuss condenser mics in this week's podcast. There are so many good, inexpensive mics available. Do you need to spend more? They also discuss the new features in the release of Pro Tools 2018.7 and they answer your questions, share community feedback, and their finds of the week. Russ, Dan and Kevin are trying their hardest not to sound like grumpy old men as they discuss the effect the democratisation of audio technology has had on standards in the music industry. They answer your questions, share community feedback, and their finds of the week. Mike, James and Alan are discussing the new MacBook Pro. It's powerful but is it suitable for running Pro Tools? They talk compressors and answer your questions, share community feedback, and their finds of the week. James, Dan and Julian are discussing compression and reverb this week. they talk about parallel compression and ask whether it gets over-used. They talk reverb - what are their go-to reverbs and are there any they overlook? They answer your questions, share community feedback, and their finds of the week. Julian, Alan and Kevin are discussing gear this week. Firstly with the announcement of the latest version of Neyrinck's V Control Pro bringing back Pro Controls and Control 24s back from the dead. Secondly they discuss monitor choice and answer your questions, share community feedback, and their finds of the week. We often get requests about adding more ways to listen to the Pro Tools Expert Podcast, the number one Pro Tools Podcast. Mike, Dan and Julian talk about bad habits in production and the merits or otherwise of speaker calibration or "room correction" hardware and software. They answer your questions. share community feedback, and their finds of the week. Russ, James and Dan talk about handling criticism, protecting yourself from RSI in your studio and they share community feedback and their finds of the week as well as answering some of your questions. Russ, Mike and Julian talk about whether our home-based studios work for us or whether we work for them? They discuss gender imbalance in the Pro Audio industry and share community feedback and their finds of the week. Russ, James and Kevin discuss monitor choice and innovation in DAW features, and share community feedback and their finds of the week. Dan, James and Alan discuss Vocal Comping, Studio Errors and share community feedback and their finds of the week. Dan, James and Julian discuss studio acoustics and Pro Tools bugs, and share community feedback and their finds of the week. Dan, James and Julian discuss the role of rough mixes, microphone choices, receive some community feedback from a Pro Audio celeb and share their finds of the week. 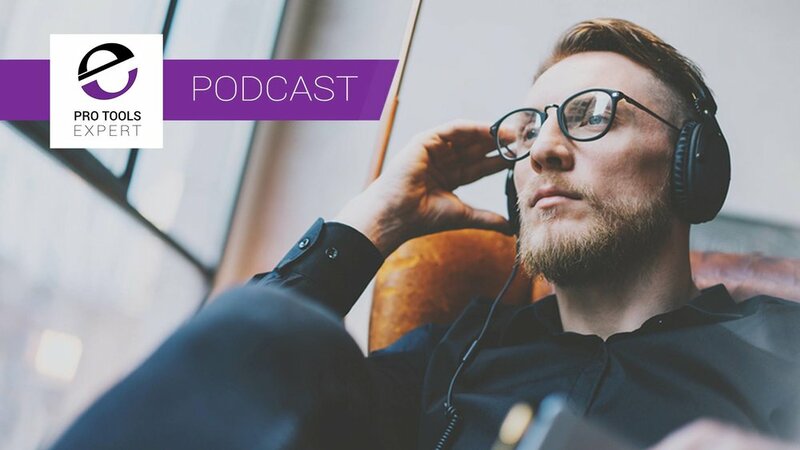 Russ, James and Julian discuss the results of our Pro Tools satisfaction survey, the role of workflow when developing new products, our newest team member Woody Brown on and they answer questions from the community and share their finds of the week. Russ, Dan and Kevin revisit last week's discussion on studio security, share tips for recording vocals and they answer questions from the community and share their finds of the week. James, Julian and Alan discuss studio security, talk about news from Messe and they answer questions from the community and share their finds of the week.